RIVERDALE, Utah (WLS) -- Four people were killed Wednesday after a small plane crashed on a highway in Riverdale, Utah. 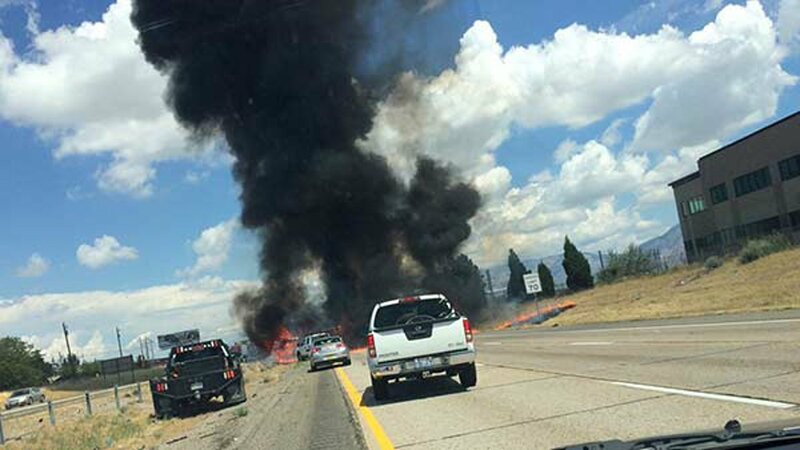 All four occupants of a single-engine Beechcraft Bonanza were killed when the plane crashed into the northbound lanes of I-15 around 1 p.m., burst into flames and came to a rest in the median, authorities said. Police said there was a gap in the traffic on the highway when the plane crashed, so no one on the ground was hurt. Four people were killed Wednesday after a small plane crashed on a highway in Riverdale, Utah. Authorities have not released the victim's identities or where the plane was traveling from and to until they do so.